A new report from the International Business Times says David Boies donated $10,000 to Manhattan District Attorney Cyrus Vance Jr. in 2015, months after the D.A.’s office declined to bring charges against Harvey Weinstein over a sexual-assault allegation. Boies has represented Weinstein publicly in many of the producer’s high-profile tussles, including his fight against Warner Bros. over the title of The Butler, and multiple battles with the MPAA over ratings; his firm’s website lists the Weinstein Company as one of his clients. 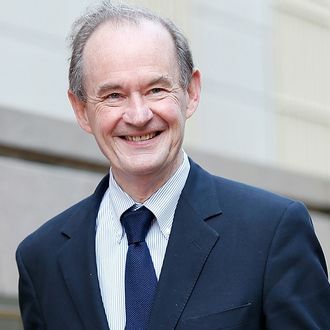 In a statement to the IBT, Vance’s communications director said, “David Boies did not represent Harvey Weinstein in 2015 during the criminal investigation.” A spokesperson for Boies’s law firm said that Boies “has been a supporter of the District Attorney since long before 2015, including before he was first elected, and has never spoken to him about Harvey Weinstein,” and that Boies, his son, and his law partners have contributed to Vance over the years. The New York Times report about Weinstein’s history of sexual-harassment allegations detailed the incident: In March 2015, Italian model and aspiring actress Ambra Battilana called the police during a Friday-night meeting with the producer. Battilana said Weinstein grabbed her breasts after asking if they were real, and put his hands up her skirt, according to the police report. The D.A.’s office did not bring charges the following month, saying, “After analyzing the available evidence, including multiple interviews with both parties, a criminal charge is not supported.” Vance is also involved in a similar controversy with Ivanka and Donald Trump Jr. On Wednesday, ProPublica reported that Vance overruled his own attorneys and declined to pursue felony fraud charges against the Trumps after Trump attorney Marc Kasowitz gave Vance’s campaign $25,000. After the donation, Kasowitz and Vance met in person, according to ProPublica, and Vance dropped the case.